Finally a tasty CBD edible that's 100% vegan AND organic! Zero GMOs and made from real strawberries and agave! 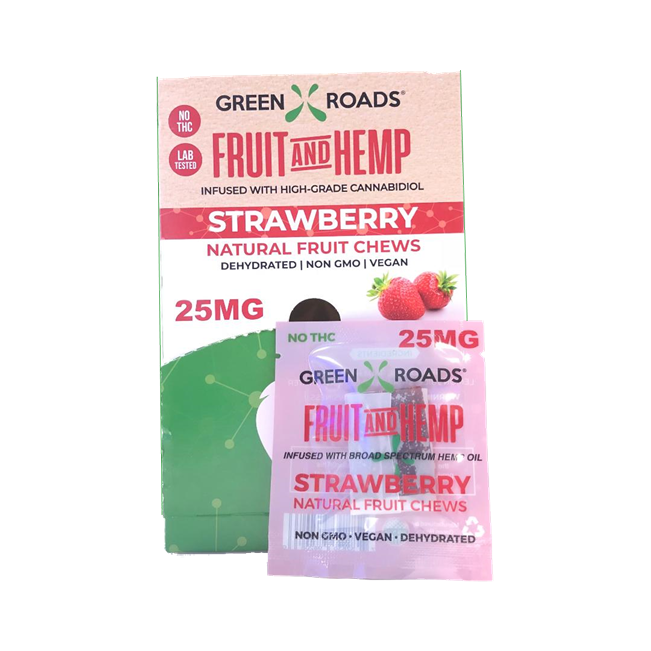 This roll up includes rich broad spectrum hemp oil with a whopping 25mg of CBD! Yeah! CBDMD - 750MG CBD Tincture - THC FREE HempCeutix™ Stress Capsules - 300MG CBD Cannabis Beauty Defined - CBD Anti-Aging Facial Toner HealthWorx Full Spectrum CBD Capsules - 750MG - 30ct.